While it has been established that I am not yet a fan of the Monster Hunter series, trailers like this are gradually weakening my resolve. 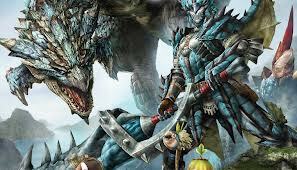 In this launch trailer, Nintendo shows off the connectivity of Capcom’s Monster Hunter 3 Ultimate for both the Wii U and 3DS systems, literally allowing players to take their campaign on the go. Despite the goofy camera cuts to the four young people enjoying the game, the trailer does show off some pretty visuals and makes a compelling case for the interaction between their two new systems. In any case, North American fans can officially pick up a copy of either version of the game starting today. So what are you waiting for? Watch the trailer and go pick one up!